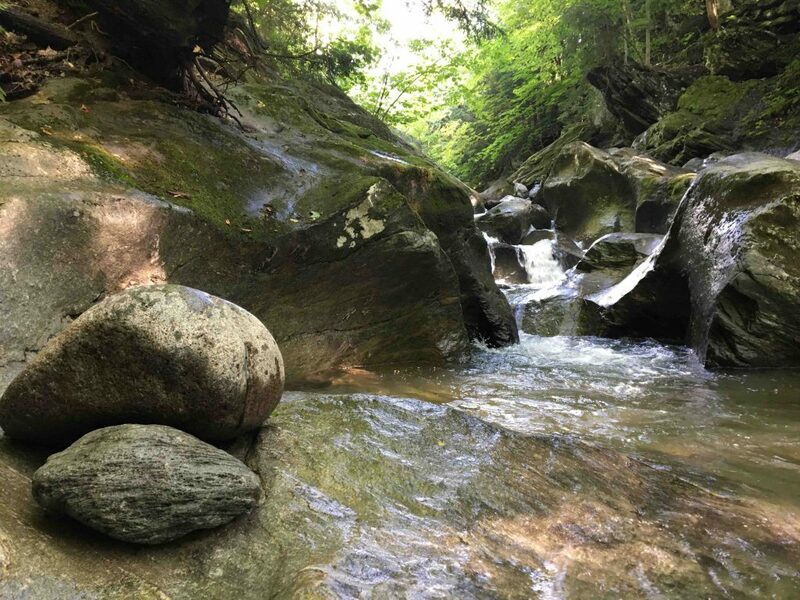 Fall is the perfect time to lace up your boots & discover one of the Eastern Townships’ great hiking destinations: Sutton. 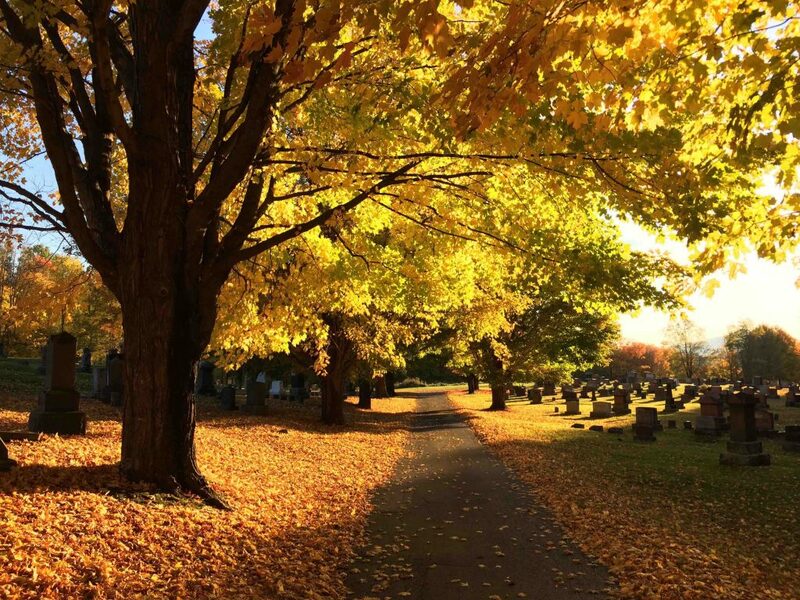 Discover the beauty of Sutton with these 7 hikes and enjoy some of the best autumn scenery the area has to offer! 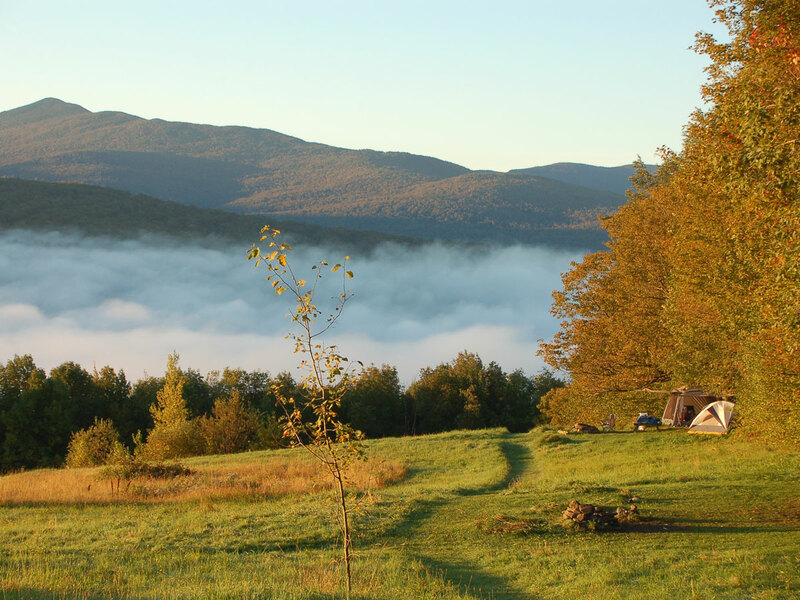 The mountain hikes will seduce you with their wild beauty, clear brooks and stunning vistas. 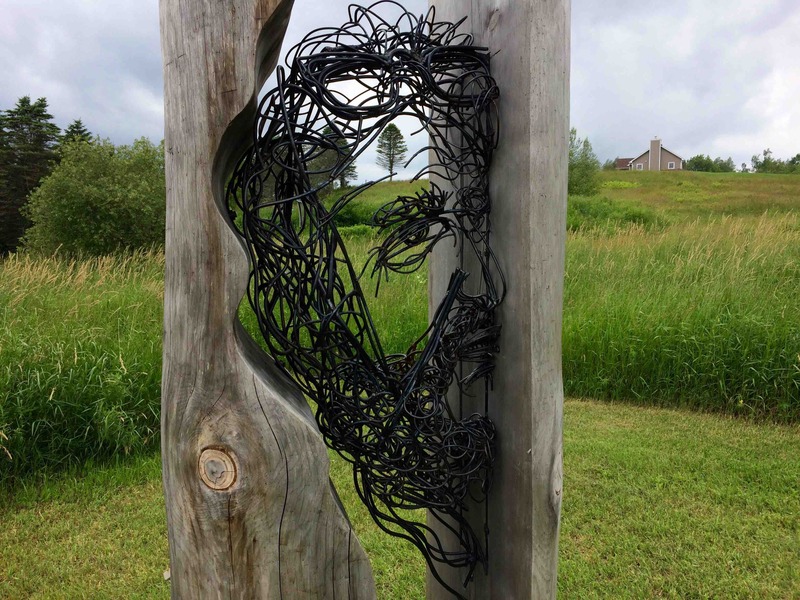 The village walks will take you back to days long gone with the heritage tour and allow you to witness large-scale sculptures by renown artists in a beautiful natural setting. A great family hike! This easy trail takes you through a superb deciduous forest along a clear mountain brook. Your kids will love scrambling over rocks and jumping over streams. You’ll definitely want to take the time to enjoy the lovely waterfall & ferns trimmed rocks at the trail end. The Devil’s Pass owes it’s name to the narrow ravine filled with moss covered boulders, testament to its geological past & centuries of mountain erosion. 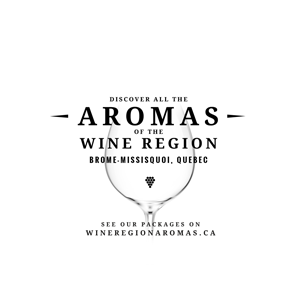 The land is mostly uninhabited & covers 100,000 acres which makes it one of the last great wild expanses in Southern Quebec. Off the beaten path, this rich natural habitat is essential to the survival of many species such as the lynx & the bear. 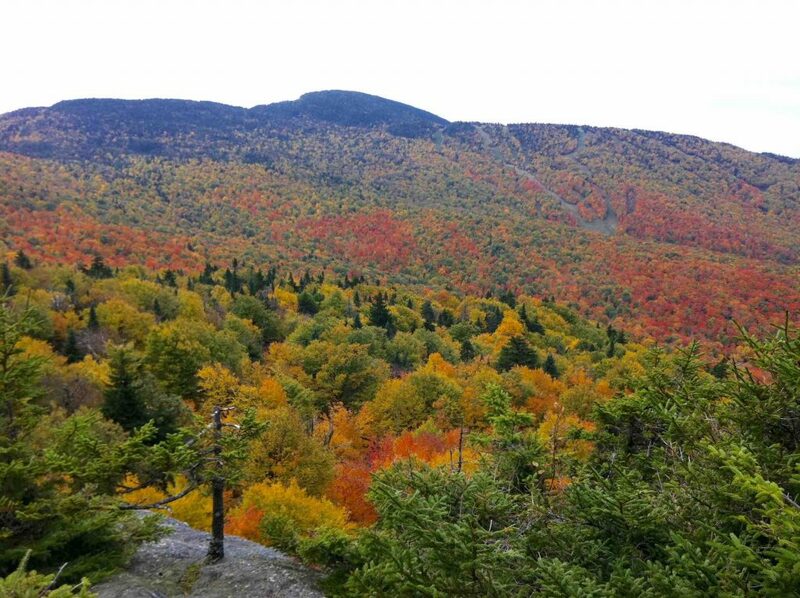 This hike can be extended by continuing on to the Mount Singer Summit at 810 m where you will be rewarded with some beautiful views to the south towards Vermont’s Green Mountains. Please note that the trail closes during hunting season from October 30, 2017 to December 3, 2017 inclusively. Average time : 2 hrs. As you arrive at this mountain resort, you will be blown away by the breathtaking views. At 1,000 feet above sea level, the 14 km network of trails just beg to be explored! Don’t forget to pack a picnic to really make the most of your trip. From open trails in mountain fields to winding forest trails, there is something here for everyone! 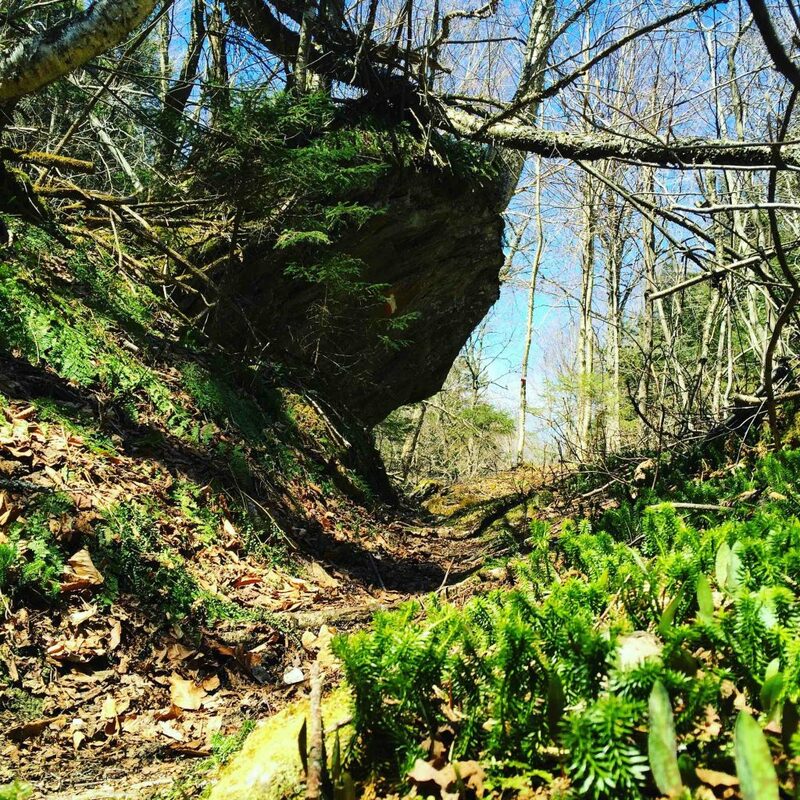 The reopening of the trail linking the village to the Witches’ Cauldron is great news for hikers! Simply park in the village and walk over to the trail head at the Park Godue on Maple Street. From there follow the trail along the river and it won’t be long before you feel the magic of the tall hemlocks & gushing waters. At Highland Street, turn left and continue for a few minutes along the road until you see tha large sign at the trailhead. At each viewpoint & picnic area take in the wild beauty of the Sutton Mountains. 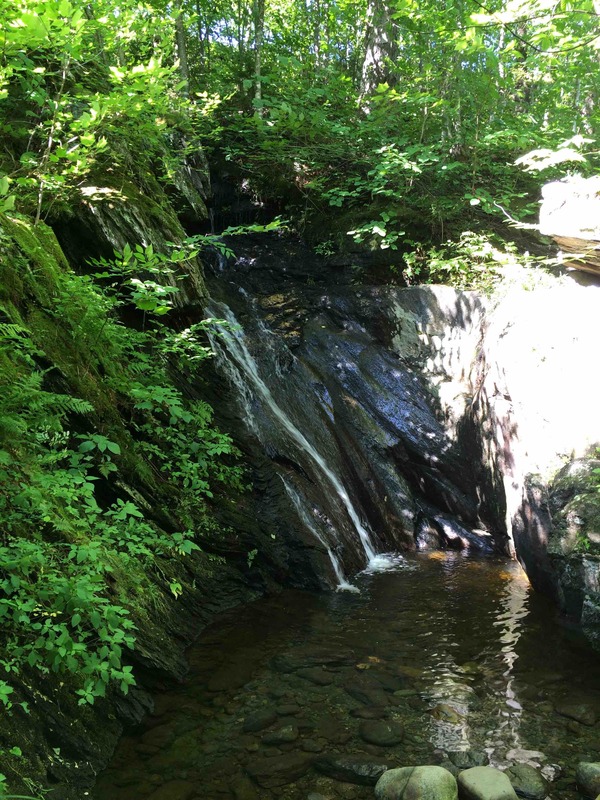 This easy hike will take you to the beautiful stone pools that is the Witches’ Cauldron. The perfect cool and refreshing place to dip your toes on a hot day. Welcome to hikers heaven: a challenging loop with great views! Indulge in the peace & solitude of this forest trail, away from the crowds you might find on more popular routes. Treat yourself to 3 hours of pure hiking pleasure on the mountain’s sunny western slope under the leafy canopy of maples & yellow birches. At the top, follow the ridge on a fragrant trail of stunted fir trees. The viewpoints at the top will make all your efforts well worth it! Take in the beauty from the Sommet des Hollandais & enjoy a well-deserved picnic on the rocky outcropping at l’Échine. 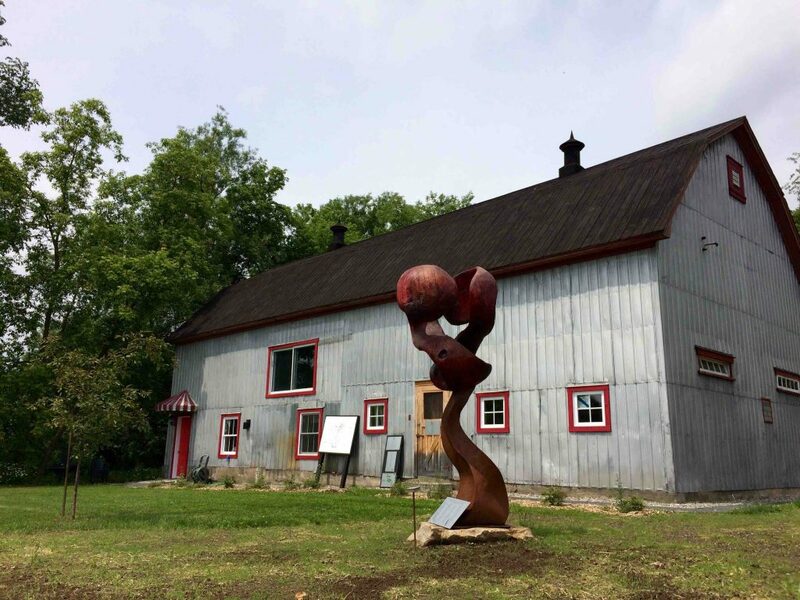 Located in the heart of Sutton, on a lovely 7-acre property, this cultural park is criss-crossed by paths for exploring the collection of large-scale sculptures by various renowned artists. What better way to admire the unique artwork than in this natural setting, amid waving fields on the banks of the Sutton river, against a backdrop of beautiful mountains? At the park entrance, stands a mid-century farm renovated by D’Arts et de rêves to welcome professional artists in residence. The walking village tour is our most popular. Learn lots about the Town’s history, charm & architectural heritage from the 16 interpretative panels en route. Stop by the Sutton Tourist Office for your free circuit map. TIME TO RECHARGE YOUR BATTERIES? After all this walking, you must be hungry & tired? Stop in at one of our great restaurants, cafés or breweries and find out why Sutton is also a foodie destination. But don’t go just yet! Why not stay the night and enjoy the hospitality of the many lodgings so that you can take up another hike tomorrow? We’re pretty sure you’ll want to try them all!